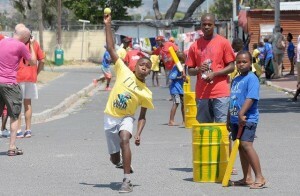 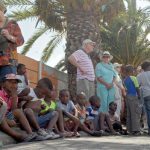 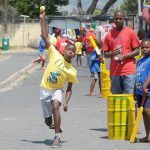 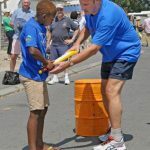 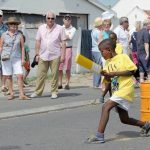 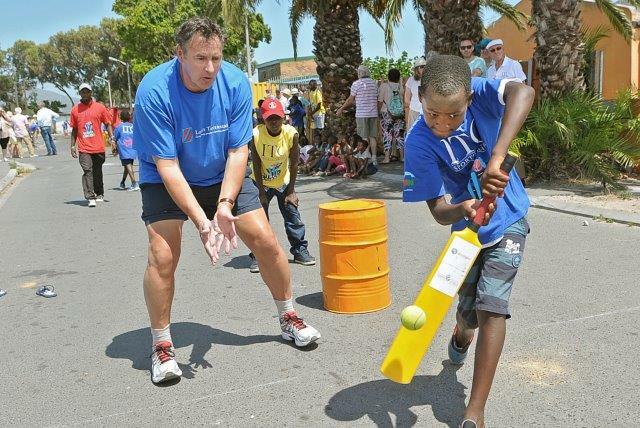 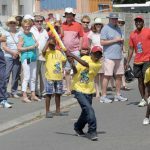 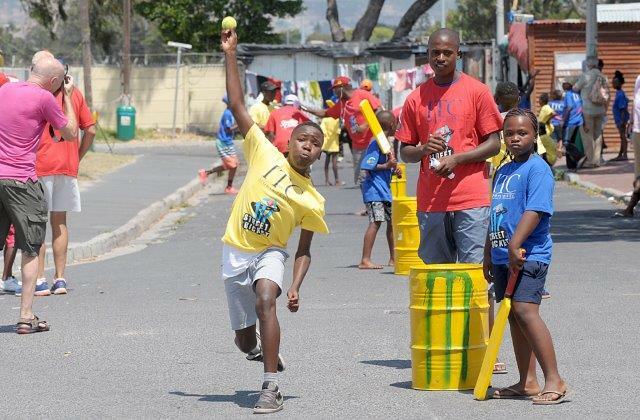 While the Proteas and Three Lions went to battle in the New Years Test at the hallowed Newlands cricket ground, there’s a different type of cricket being played on the humble streets of the Langa Township just outside Cape Town. 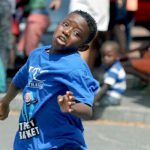 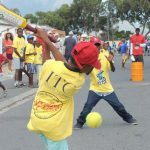 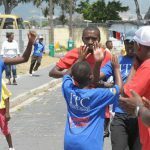 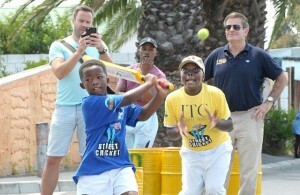 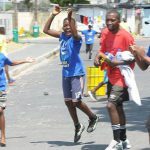 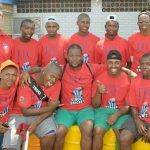 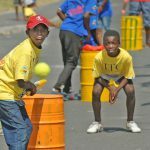 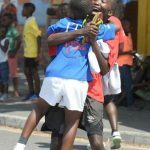 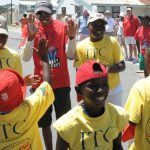 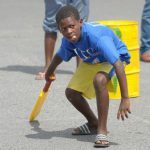 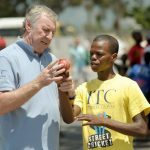 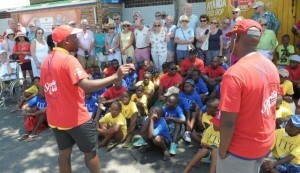 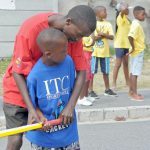 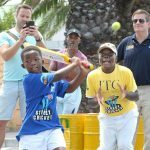 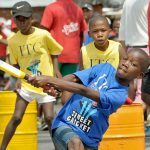 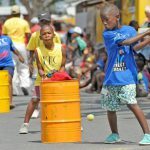 Thursday 31st December 2015, played host to the ITC Street Cricket festival, hosted on the very streets where some of South Africa’s great black African cricketers started their love for the game. 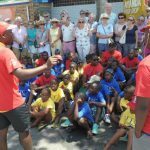 120 children and 13 local coaches gathered to show their skills to the international tourists and learn a few tricks from some of England’s finest former players. 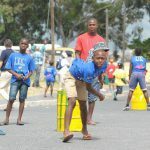 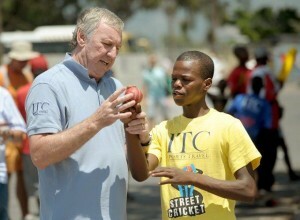 An adapted version of conventional cricket, Street Cricket is played by teams of 6 players, who all have a turn to bat and bowl. 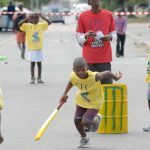 The game is fast and includes quick cricket rules such as ‘tip and run’ and ‘one hand – one bounce’ creating great entertainment for the players and spectators alike. 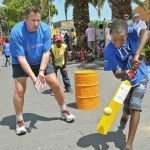 John Lever, England’s legendary opening bowler and Chris Cowdrey, former England captain gave the aspiring youngsters some valuable tips that had helped them to get to play on an international stage. 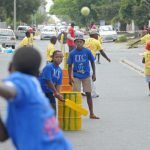 Natural flair and a healthy appetite for the game by the Langa locals made for a wonderful spectacle at Sporting Chance’s ‘home of Street Cricket’. 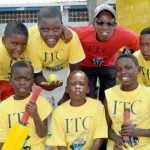 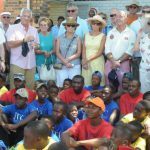 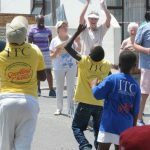 Thank you to Richard Nurse and ITC Travel Company for their support, which allowed Sporting Chance and the Langa cricketers to conclude 2015 in a fitting way!